A funny thing happened with Amit Levy’s side project in 2011 to build a hosted memcached service — it became a company. Now that company, MemCachier, is striving for omnipresence in the cloud, and extending its reach from the Heroku (s crm) platform as a service onto a number of PaaS offerings and even Amazon EC2 (s amzn), where it will directly compete with Amazon Web Services’ own ElastiCache service. It’s impressive growth for a young company that was never really meant to be. 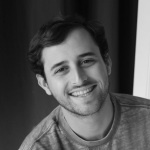 According to co-founder Alex Loddengaard, Levy began building MemCachier as a side project in mid-2011, and he hosted a private beta version in the Heroku add-on market so a friend could easily access the service. The team at Heroku saw the service, liked it and encouraged Levy to pursue it for real. Levy, who’s still in the middle of getting a Ph.D. from Stanford, called Loddengaard (who taught Levy while a teaching assistant at the University of Washington) and fellow Stanford Ph.D. candidate David Terei for help, and MemCachier launched in April 2012. Landing Loddengaard wasn’t too tough. He had quit his job at software-development firm Atlassian, after beginning his career at Google (s goog) and then following his boss Christophe Bisciglia to Hadoop pioneer Cloudera, where Loddengaard was a pre-funding employee. (MemCachier, by the way, now shares office space with Bisciglia’s new company, WibiData, in the former Atlassian headquarters.) He was living off his savings, had “built a bunch of stupid web apps that you never heard of” and was trying to figure out what to do next, he told me. And then Levy called. Aside from the core open source version, developers might choose the Couchbase’s eponymous NoSQL database (into which the popular memcached implementation Membase Server has been integrated) or its hosted Membase service called Memcache, which is available on Heroku. Another hosted option is AWS’s ElastiCache, a membased-compliant service available to developers building web applications on the Amazon EC2 cloud. Since starting off on Heroku, MemCachier has already expanded to the AppHarbor and Cloud Control platforms, but Wednesday’s expansion represents the company’s first real introduction to the public, Loddengaard said. Now, MemCachier is also available on AppFog, CloudBees and DotCloud — three popular PaaS offerings — as well as Amazon EC2. Moving to Amazon’s cloud, in particular, also meant a change in pricing to reflect a different class of user (e.g., AWS mega-user Netflix (s nflx)) than most PaaS offerings attract. Whereas MemCachier’s options on Heroku range from 100MB to 10GB in size, Amazon users can get up to a 100GB instance. Loddengaard said most Amazon EC2 users use more than a gigabyte of RAM for memcached, and ElastiCache actually starts out at 1.3GB. That mindset has proven effective so far. Thanks to word of mouth alone, the bootstrapped MemCachier has been growing steadily in terms of revenue and users, now claiming more than 1,500 developers, but its broader footprint and some proactive marketing should mean sharp upticks in both areas. However, a jump in users — especially the larger ones that might come from Amazon EC2 — will probably require MemCachier to grow beyond its current three-person team. Of course, there are worse problems to have. Feature image courtesy of Shutterstock user optimarc. 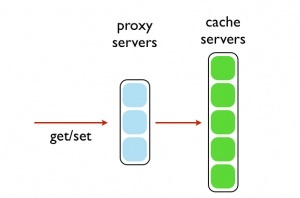 I always find caching as a service products interesting because they are always limited by where they run. The point of a cache is to make things faster but that’s never going to be the case if you have to do a remote call over the internet to the cache hosted elsewhere. This makes it important for the service to be hosted in the same data centre/network as where your own instances are. So it makes sense to be on Amazon and other PaaS platforms to achieve this goal. I wonder how EC2 availability zone architecture affects latency given that zones are not consistent across accounts. That’s a really good point. It would seem that replication and other capabilities will have to follow suit at some point as more people build geographically distributed apps. Not so much a concern on PaaS offerings now, but certainly on EC2. ouch! right in the headline!